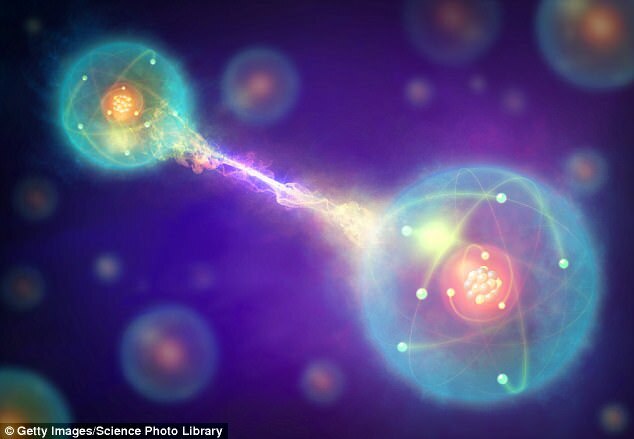 In a new paper, researchers say they've proved that two realities can exist at once, at least when it comes to the quantum world. When the photon is observed, it is displayed in either a horizontal or vertical state, but according to quantum mechanics, before that observation is made, it exists in a state of 'superposition' meaning that it is in both states at once — horizontal and vertical. In Wigner's experiment, one person in a laboratory observes the photon, sending it to either a vertical or horizontal state, while Wigner, who is outside of the laboratory, runs a simple test called an 'interference experiment' to prove that the photon is still in a state of superposition. While Wigner's Friend has long just been an intriguing thought experiment, advances in the field of quantum mechanics and physics have allowed researchers to put the theory to the test — and that's exactly what Massimiliano Proietti of Heriot-Watt University in Edinburgh and colleagues have done. Using six entangled photons - particles of light whose fates are tied together -- Proietti and colleagues were able to replicate the results of Wigner's Friend. 'The scientific method relies on facts, established through repeated measurements and agreed upon universally, independently of who observed them,' say Proietti in the paper published in pre-print journal AirXiv. However, if those facts can neither be proved right or wrong — or both — as Proietti's work posits, then science itself may have to change.